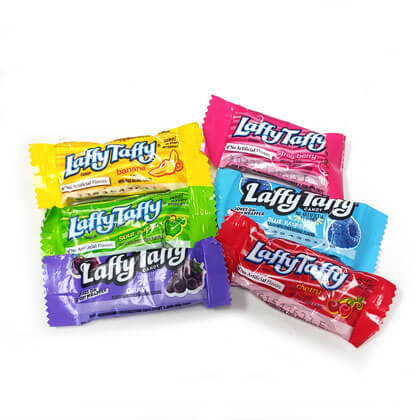 The classic fun fruity, soft taffy candy in a mini bar assortment of cherry, banana, strawberry, watermelon and sour apple. Comes with jokes on every wrapper! Approx. 3 pieces per ounce. 9 oz. bag. Each bags contains a random assortment of flavors.